Where do I use my Building Supplies Online voucher code? 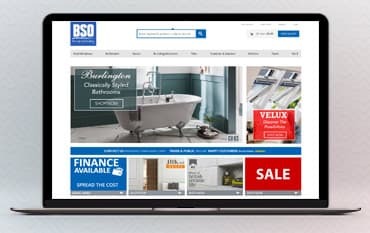 Find a deal or voucher of your choice for BSO from NetVoucherCodes and follow the link through to the homepage. You may need to Copy the code if available. Proceed to finalise your order. Building Supplies Online offer over 50,000 products online which they distribute across the UK. With a great choice of DIY, Trade standard building materials and power tools, at Building Supplies Online you can find plenty of cheap insulation, plumbing and heating supplies, all of which can be delivered straight to your door. In addition to materials, Building Supplies Online also sell over 2,000 power tools and hand tools as well as roof windows, bathroom products, tiles, paving equipment and kitchen supplies. With an array of high-quality products from top brands like Laura Ashley, Dyson, Roca, Ideal Standard and Velux, and a great sale section offering up to 50% off, you can find all the top quality materials and equipment for your home, for less. Doors are an incredibly important agent for any home or building, Building Supplies Online know this and therefore offer doors to suit everyone's taste. In their range, they have an enormous amount of doors, available in various styles and sizes including external doors, internal doors, fire doors, room dividers, pocket doors, door accessories, sliding doors, LPD doors and many more. Shop for your doors based on your room or preferred type and find the perfect doors to add the finishing to your home or office space. Do you only supply to trade? The cost of delivery dependa on the weight and quantity of your order. Delivery costa will be calculated at the basket stage. We are not able to guarantee specific time slots for delivery. Orders will normally arrive between 8am and 6pm. A tracking number will be supplied for most deliveries.